[08/12] Aged Peoples Day is coming September 15. 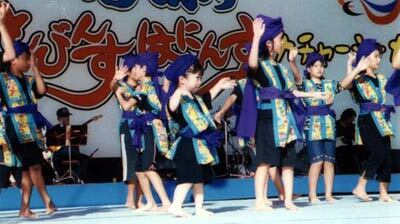 CAMP FOSTER, OKINAWA, Japan — While serving the U.S. Read More! OKINAWA CITY, OKINAWA, Japan — About a dozen Marines and sailors from Marine Corps Air Station Futenma, and some of their families, volunteered to spend time with the Okinawan children at the Jidou Community Center here July 24. The Saturday visit was part of an ongoing project where service members visit the center three times a month, according to Lt. Read More! 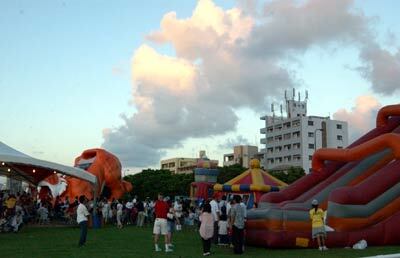 CAMP KINSER, OKINAWA, Japan — About 30,000 Okinawans and Americans came together to celebrate cultural differences and enjoy festivities at the free, public Urasoe City/Camp Kinser 10th Annual KinserFest here Aug. 7-8. Read More! Okinawa’s long, hot summer continues and with it numerous colorful festivals being conducted across the island. 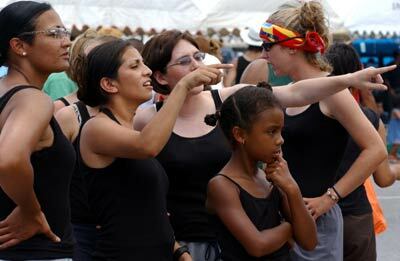 One of the largest, the 27th annual Ginowan Hagoromo Festival, is this weekend. Read More! Located in an amazingly quiet residential area close to the ocean, just around the corner from the bustling Chatan shopping and flea market area, is a pink building that is home to esthetic salon Come Across. The salon is currently celebrating its five years in business. Read More! Schwab keeps friendships afloat during 26th annual dragon boat race NAGO, OKINAWA, Japan — Three teams packed themselves into small boats like sardines in tin cans. The crews dipped their paddles into the water, awaiting the starting shot. Read More!